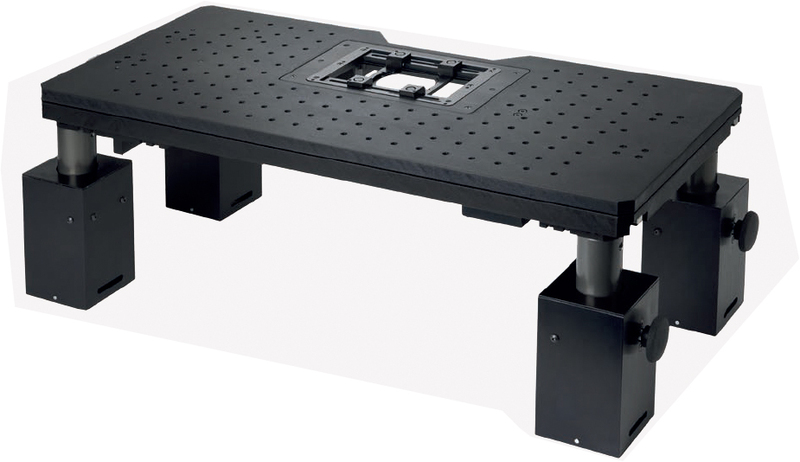 Prior Scientific’s patent pending Manual XY Stage ZDeck Quick Adjust Platform enables users to manually adjust the sample XY position with zero electrical noise via X and Y axis knobs. Additionally, the manual XY Stage ZDeck provides users with an ultra stable platform with the flexibility to quickly adjust height for different requirements. • Fully locking pneumatic piston towers which make raising and lowering the ZDeck virtually effortless while maintaining stability. • No tools are required to adjust the height. • Change between thin sample and whole animal imaging height in seconds. • Oversized top surface for mounting additional micromanipulators and stereotaxic instruments. • Large sample area for mounting existing, heating, cooling, perfusion and incubation chambers.